It was like Scott and Mary Flanders had to earn the right to round Cape Horn. 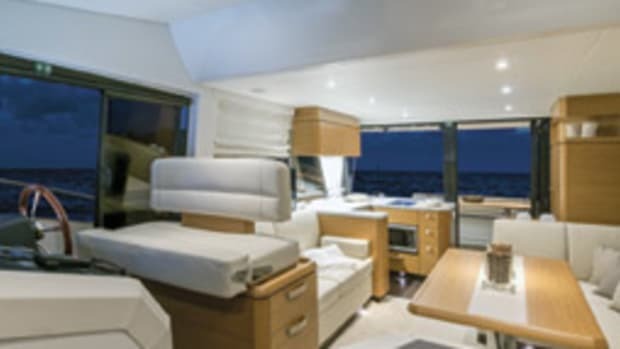 Aboard their Nordhavn 46, Egret, the couple white-knuckled through what Scott Flanders calls “four 12-hour maulings” in the South Atlantic on their way to the notorious cape. The couple and their 30-ton trawler escaped the Argentine coast virtually unscathed. Some seawater entered the auxiliary engine’s exhaust system, but the problem was easily fixed after they rounded the Horn — an event that was, well, uneventful by comparison. Known for strong winds and huge seas, Cape Horn was docile the day Egret passed by the voyager’s equivalent of Mount Everest. In fact, the Flanderses completed the passage twice. They motored east to west, against prevailing winds and currents Jan. 21, 2007, and then west to east the following day. Egret was the first Nordhavn to round the Horn, according to Nordhavn director of marketing Jennifer McCauley Stern. 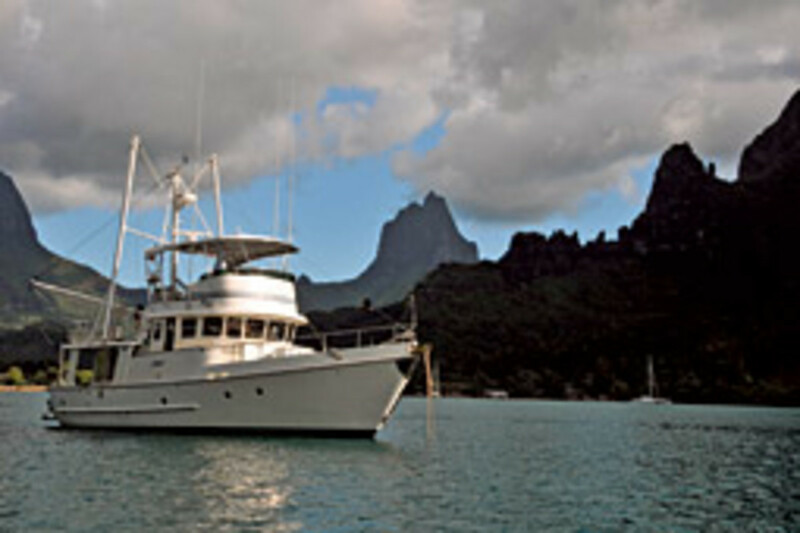 Another Nordhavn, a 57-footer, achieved the feat only three weeks after Egret. The two trawlers later rafted up and swapped stories in the Beagle Channel. Crossing the Atlantic, exploring jungles in Brazil, anchoring in the fjords of Chile, dancing with icebergs in Argentina’s Estero Fonque, eating roasted pig with locals in the Kingdom of Tonga — these are but a few courses in a feast of memorable experiences the couple documented in words and photographs. 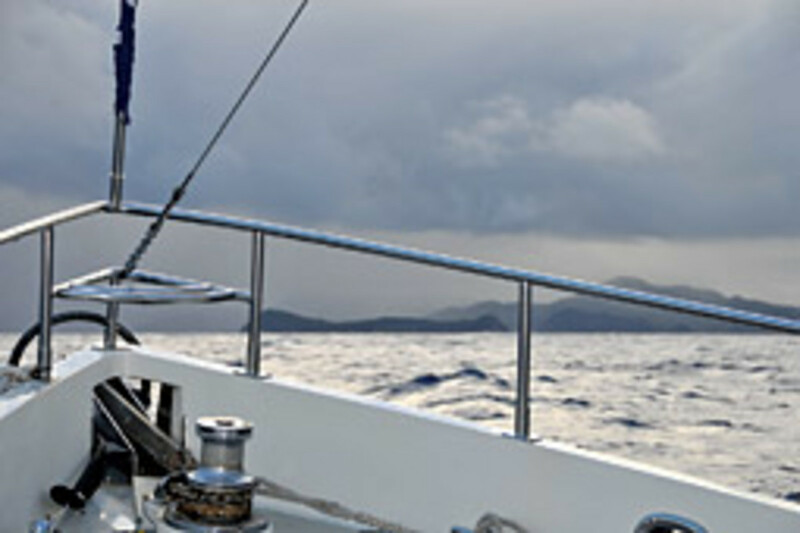 Scott Flanders wrote a detailed captain’s log that describes not only the Kodak moments, but the realities of cruising. “I didn’t want to write about dolphins in the wake,” he says. “I wanted to write about nuts and bolts. I wanted to write about what it’s like to try and sleep in 30 knots of wind.” His ultimate goal is to persuade others to leave life’s worries and stresses behind and go long-distance voyaging. 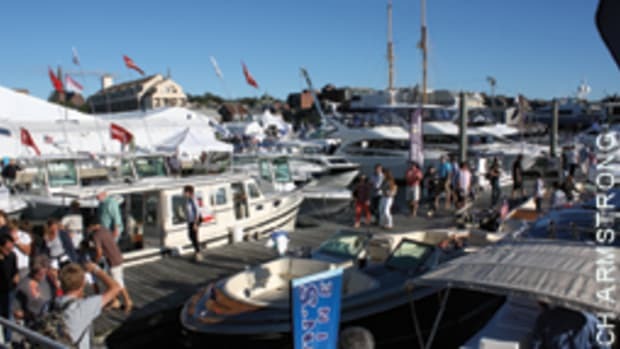 They participated in the Nordhavn Atlantic Rally in 2004. Egret, along with 18 other passagemakers — mostly Nordhavns — made a 3,800-mile trans-Atlantic passage from Fort Lauderdale to Gibraltar, with stops in Bermuda and the Azores. The 40-day trip would serve as a warm-up for the couple’s voyage two years later. 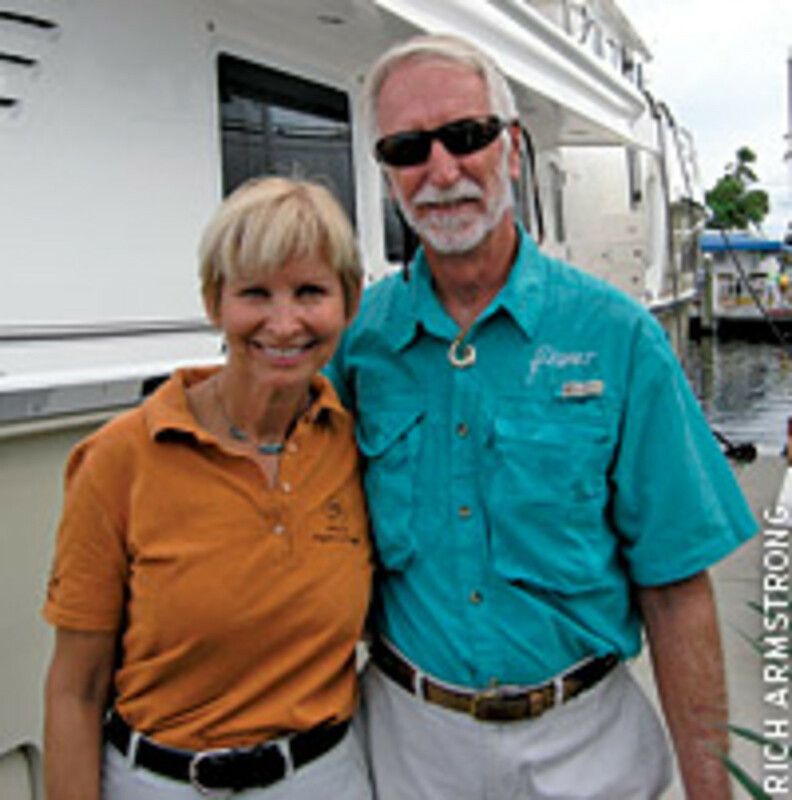 Scott and Mary Flanders began filing captain’s logs as soon as they got under way Sept. 16, 2006. 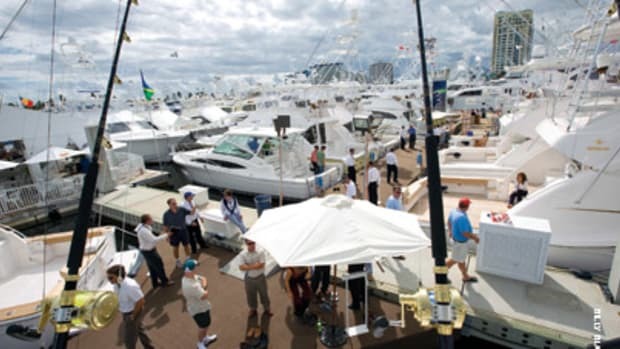 The logs are listed by month on the Nordhavn Web site (www.nordhavn.com), and each month includes multiple entries. At the beginning of each entry, Egret’s position is noted, along with the weather conditions. You can read about how they cruised down the west coast of Africa, crossed the Atlantic and made stops in La Gomera in the Canary Islands, Bahia de Salvador and Florianopolis in Brazil, and Mar del Plata. 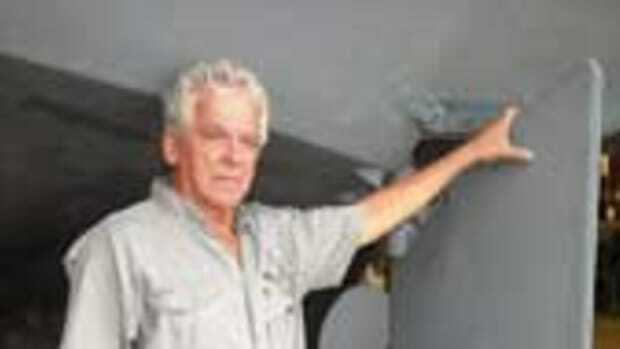 They picked up a crewmember, Steve Lawrence, 62, of Deer River, Minn., in the Canary Islands. Lawrence met the Flanderses in Fort Lauderdale at the start of the Atlantic Rally. He met up with the couple again in Barcelona in the winter of 2005-06, when he dropped a few hints about crewing on Egret. He spent five months aboard the trawler. His main duties were washing dishes and standing watch from 1 to 5 a.m. The Flanderses began calling Lawrence “The Master Angler” because he landed scores of fish during his time aboard Egret. Another job for Lawrence was to stand on deck with a sickle, ready to slash kelp that came up with the ground tackle. He also offered to help Mary Flanders with the anchoring duties, but she would have none of it. “Mary and Scott have a system down, so I just stayed out of the way,” he says. 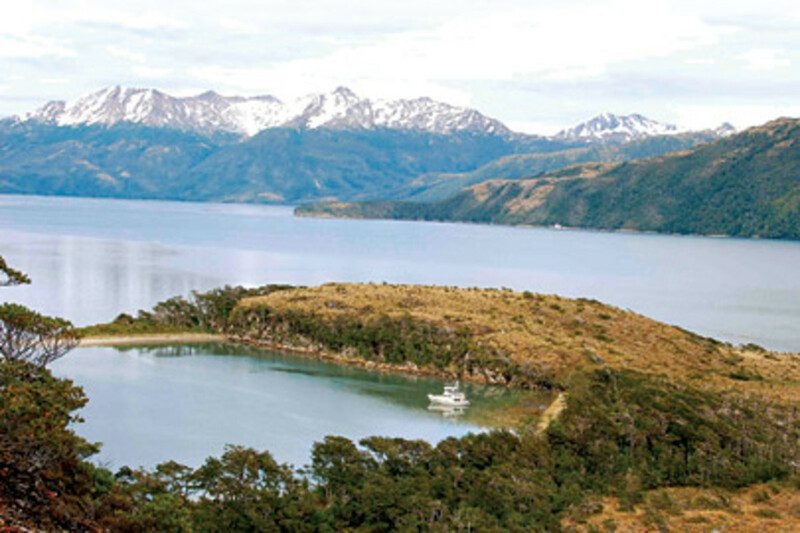 Lawrence did get involved when it was time to anchor in the fjords of Argentina and Chile. Using Egret’s tender, he took stern lines ashore and tied them to rocks. The lines were fed through winches in the cockpit so they could be adjusted as necessary. In a recent e-mail to Lawrence, the Flanderses extended an open-ended offer for Lawrence to join them in a year (after they leave New Zealand) for any future cruising legs. Egret set sail again last spring and made stops in the Juan de Fernandez Islands, Easter Island, Pitcairn Island, the Gambier Islands, the Tuamotu Islands, Tahiti, American Samoa and Tonga before reaching New Zealand. They’ll spend 2009 exploring New Zealand and then head to Australia and Tasmania. They have become enamored with the simplicity of life Down Under. “You can go to the post office to get your title for your car,” says Mary Flanders. During their stay in Fort Lauderdale, Scott and Mary had a chance to visit with friends and family. 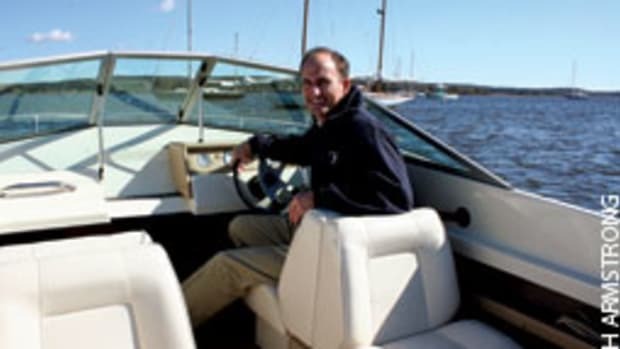 Prior to cruising, Scott was in marine distribution and boatbuilding. 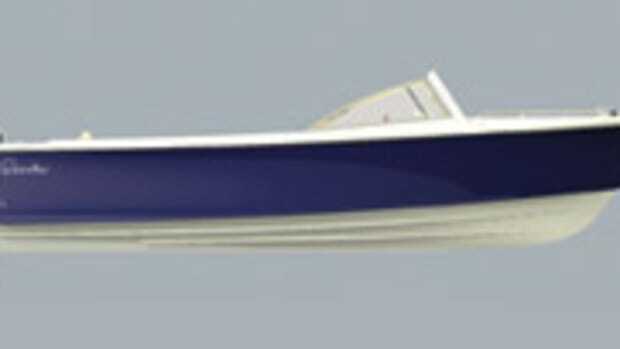 He owned a boatbuilding company called Egret — hence, the name of the trawler — that produced small flats boats. Mary is a former physical therapist who worked with cerebral palsy patients. Both led busy, stressful lives. 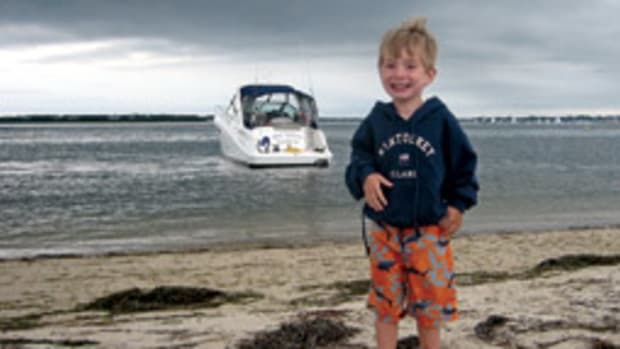 This story originally appeared in the February 2009 issue.